Host an exciting, low-stress party that your guests will be talking about for weeks to come! The GameTruck system is designed to deliver peace of mind. Through our Online Party Planner, confirmation calls, and free invitation options, we strive to help your party be a success. 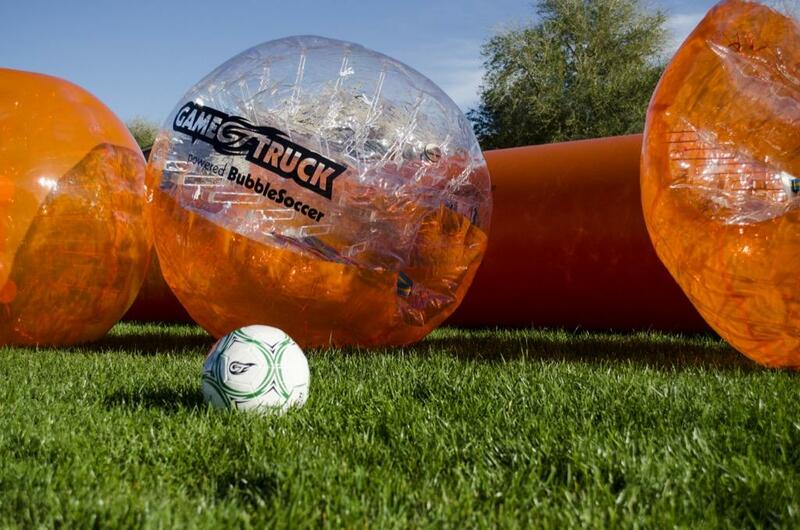 Get your party moving with GameTruck's BubbleSoccer. 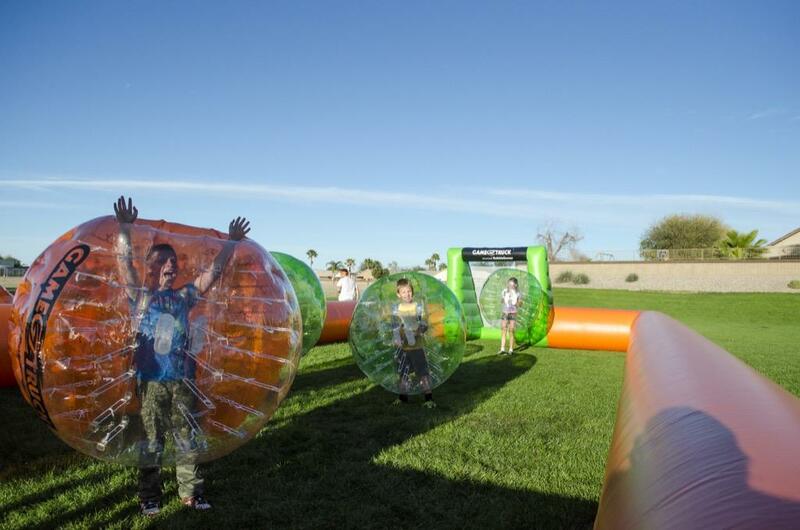 High quality inflated balls add a new dynamic to soccer, and allow guests to bounce and fall without any risk. Trained GameCoaches emphasizes safety and fun during play. They keep the game rolling and help players up when they bounce around. 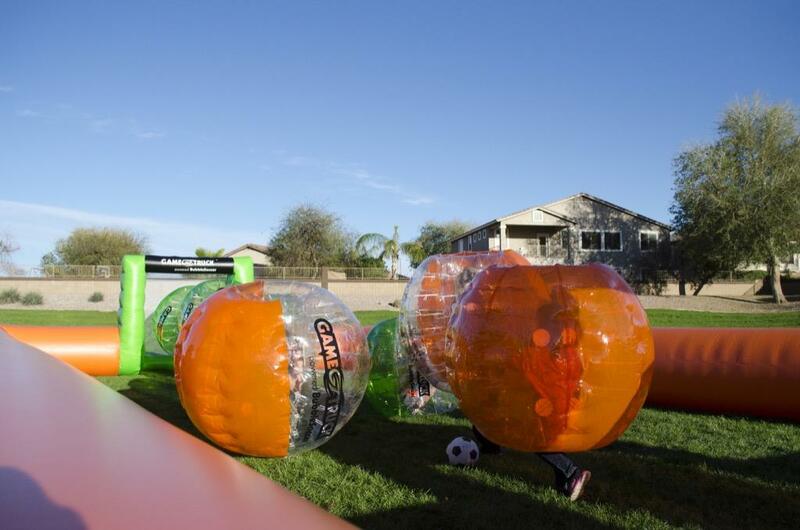 With high-energy play, your guests will get to experience soccer like never before. 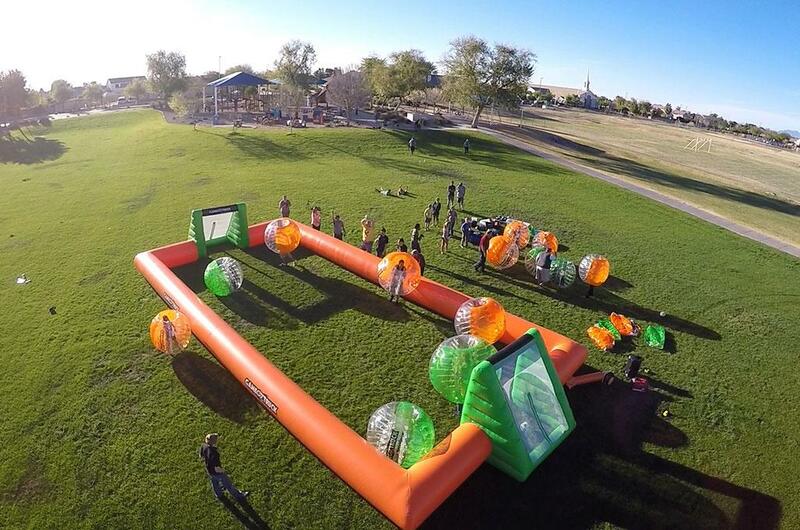 From falling and bouncing to scoring, BubbleSoccer will keep your guests engaged and entertained.